30,000…45,000…60,000…Despite the Chevrolet Volt not even having its official EPA mpg ratings out, let alone selling a single unit, General Motors is still making the bold prediction that the plug-in specimen will sell so much units that they once again changed their future plans of production, for the third time. 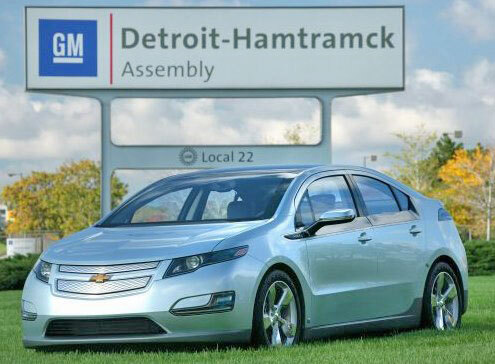 According to The Detroit News, Vehicle Line Executive (VLE) Doug Parks speculates that the Detroit-Hamtramck assembly plant has the ability to birth up to 60,000 Volt’s by 2012. Though nothing is set in stone, Parks notes that the plans are still “flexible.” Currently, GM plans on producing just “10,000 or 15,000” Volts for 2011.